What is a waterless toilet system? More information about this waterless toilet also sometimes referred to as a dry toilet. 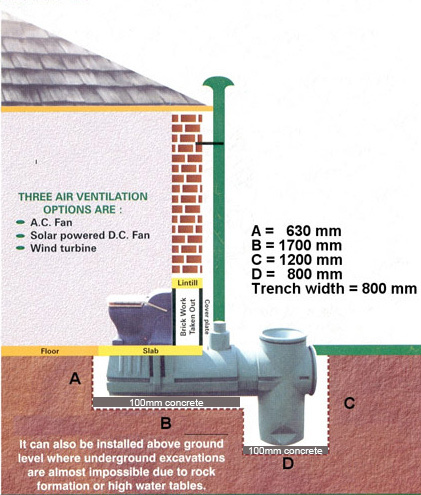 Technical information including a diagram of a typical in-home toilet installation. Our range of Ecosan outdoor pit latrines. Many countries are chronically short of water, which makes the use of water bourne sanitation an unrealistic option. The capital cost required for water bourne sanitation is prohibitive in most of the cases. It has conclusively been proven that nitrate loaded effluent from pit latrines is directly responsible for widespread contamination of valuable groundwater resources. The regular operating and maintenance costs of sanitation systems such as bucket latrines, septic tanks, chemical and waterbourne toilets are very high. Are you from Australia and need more information? Click here to sent them any Aus queries that you may have. 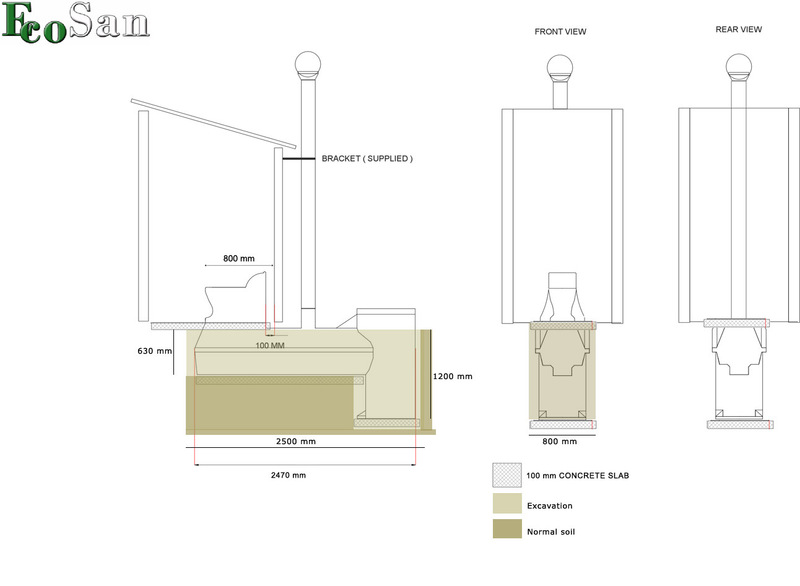 Your own ECOSAN toilet factory ? Go to "own factory" page. JoJo tanks has been manufacturers of Poly-ethylene products for many years. They manufacture a wide range of products including large chemical and water storage tanks. Click on the image below to visit their web site.